Companies hate providing good tech support for their products because it is expensive. And consumers hate calling up tech support when they can’t get a gadget to work properly because they usually get the run-around. 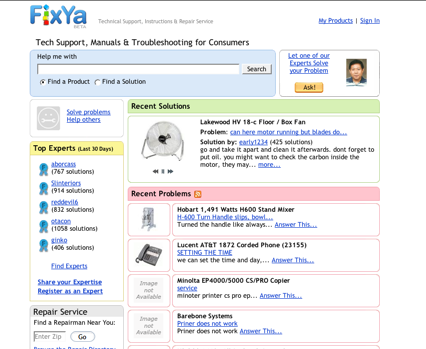 The idea for Fixya is quite simple: Let consumers help fix each other’s gadgets. The startup, which was in the DemoPit at TechCrunch40, announced a $6 million B round from existing investors Mayfield and Pitango. (It had previously raised $2 million in January, 2007). 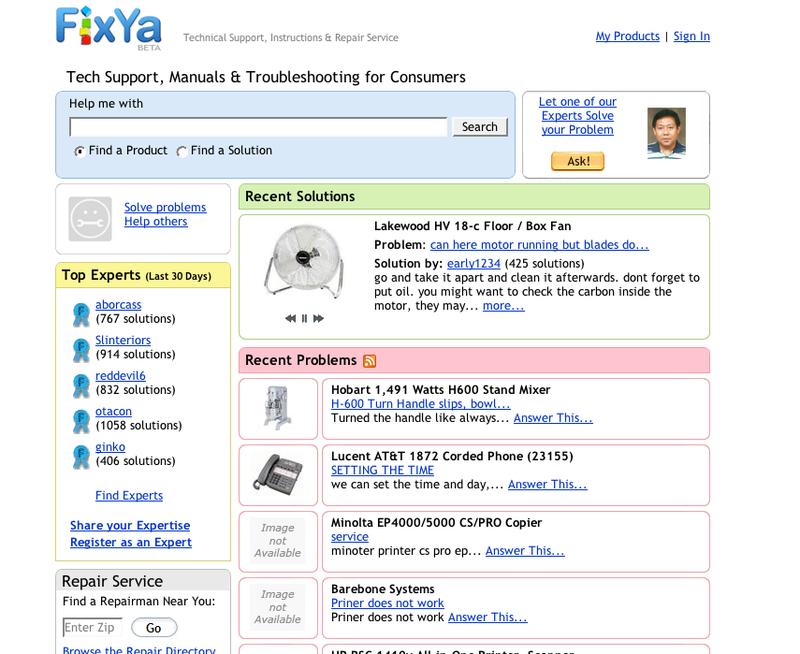 Fixya already has information on 800,000 consumer products, ranging from electronics to appliances. It also stores a lot of owners manuals in digital form. The site has been growing at a respectable clip. In the U.S., comScore measured 1.5 million unique visitors in February, up 107 percent from the year before (see chart below). Worldwide, comScore estimates 3.7 million unique visitors in January (the company claims 6 million uniques).